According to a March 6 report by Russian news agency TASS, Kazakhstan’s Ministry of Defence (MoD) (Правительство Республики Казахстан) is planning to procure additional Sukhoi Su-30SM multirole fighter aircraft from Russia. Earlier this year, on January 17, Kazakhstan Armed Forces took delivery of a new batch of modern multifunctional Su-30SM jet fighters of the 4++ generation. 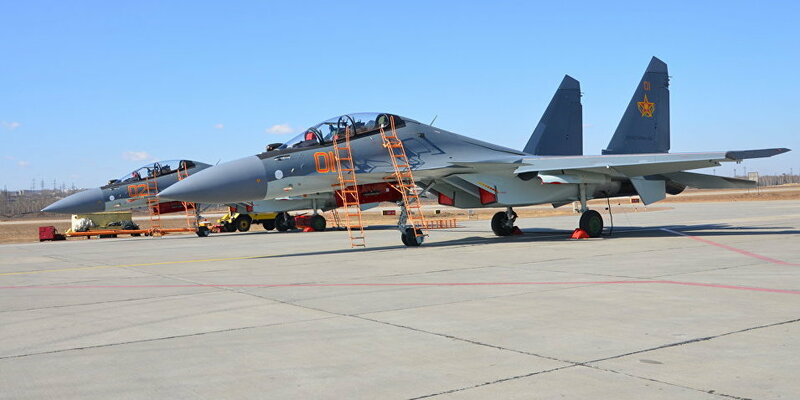 The country bought its first batch of the Su-30SM in 2015 as part of agreements concluded earlier between the defense ministers of the two countries. The first 4 aircraft were delivered in June 2015. The second batch of 2 aircraft was delivered in December 2016. Another 12 aircraft were ordered in August 2017. The first 2 aircraft of the second order was delivered in late December 2017. As of January 2018, the Kazakhstan Air Force has 8 Su-30SMs in its inventory. A total of 32 aircraft expected to be delivered by 2020. “Within the framework of the agreement on military-technical cooperation with the Russian Federation in 2018, the Ministry of Defence of the Republic of Kazakhstan plans to conclude a contract for the supply of Su-30SM multirole aircraft, and until 2020 it has planned to purchase [additional] Su-30SM aircraft and Mi-35 helicopters,” the MoD in Astana told TASS without providing further details or the number of additional aircraft to be procured. According to Astana Times, the jet fighter is effective in counter-airstrikes, counter-ground and counter-sea missions. It can conduct electronic counter-measures and early warning tasks. The aircraft also acts as a command-and-control platform within a fleet of combat aircraft performing joint missions. The airframe of Su-30SM is made of titanium and high-strength aluminum alloys. It is based on the Su-30MKI aircraft developed jointly by IRKUT and JSC Sukhoi Design Bureau, for the Indian Air Force(IAF). The fuselage head houses cockpit, radar sections, and avionics bay. High maneuverability was achieved through the integral aerodynamic form combined with thrust vectoring feature. The aircraft is powered by two AL-31FP by-pass turbojet reheated engines. 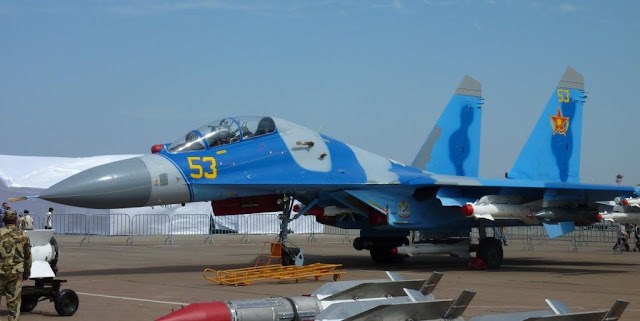 Currently, Kazakhstan Air and Air Defense Forces are using Su-27 Flanker, MiG-29 Fulcrum, Su-25 Frogfoot, MiG-27 Flogger and MiG-31 Foxhound which are inherited from erstwhile Soviet Air Force.